Exclusive: Nimbuzz, a popular mobile communication service provider, has been asked by Skype to remove support for all Skype services, effective October 31st. The startup will be announcing the news to its 30 million or so registered users later today. 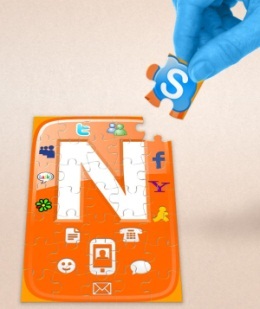 Nimbuzz sees the decision to ask for the removal of support for Skype services in line with the communication software giant’s “mandate to disconnect with all third-party VoIP services ahead of its impending IPO“. Update: Nimbuzz has posted about the situation on its blog. You may remember that the exact same thing happened between Skype and Nimbuzz rival fring back in July. Skype at the time also stated that it tried to resolve a dispute with fring amicably for a considerable amount of time, only to arrive at a point where they saw themselves forced to threaten legal action over “misuse of Skype software”. From October 31st onwards, Skype users will also find themselves unable to chat, send messages or call their contacts on Nimbuzz, and vice versa. Nimbuzz points out users will remain free to communicate with their contacts using other VoIP/SIP, instant messaging services and social networks, including Facebook, Yahoo, Windows Live Messenger, AIM, Google Talk, Twitter, MySpace, ICQ and others. Coincidentally, both Nimbuzz and fring recently started offering their own paid VoIP services to users (NimbuzzOut and fringOut, respectively), so my educated guess is that that’s the real reason why Skype is singling out these companies in particular (for now). For all its popularity, competitor eBuddy does not offer support for Skype services and, as far as I know, never has. Nimbuzz is not a small player in the mobile messenger / VoIP space either, any way you look at it. The startup recently announced that it has surpassed 150 million downloads and has 30 million registered users across all major mobile operating systems. Moreover, Nimbuzz claims 3.65 billion mobile voice minutes have been logged over the past year. The company has raised $25 million to date, and one of its shareholders is Naspers / MIH Group, the multinational media group which boasts investments in Tencent, Mail.ru, Facebook investor DST and other notable industry players. Time will tell if both fring and Nimbuzz have strong enough offerings, and loyal enough users, to stand their ground against the many alternatives, no longer bearing in-app Skype support. It will also be interesting to see if Skype will move to demand more third-party clients to remove support for its services in the future.